How to make Easter Mini Cheesecakes! 2. Mix Graham crumbs, 2 tbsp. Sugar and Butter, then press onto bottoms of 18 paper-lined muffin cups. 3. Beat Cream cheese, Vanilla and remaining Sugar with mixer until blended. Add Eggs, 1 at a time, mixing on low-speed after each, just until blended. 4. Spoon mixture over crusts. 5. Bake 25 to 30 min. or until centers are almost set. 6. Cool completely. Refrigerate 2 hours. 7. Top each mini Cheesecake with 1 tbsp. coconut and shape to resemble bird’s nest. Add 3 malted milk eggs to each. Although cooking from scratch usually tastes better, you can get the Betty Crocker No-Bake Cheesecake Mix that includes the crumb base. Here is how you buy less ingredients and cut 7 steps to 4! 1. Blend biscuit crumbs with melted butter. Press into base of paper cup in pan. 2. Beat mix with milk in large bowl on low-speed until moistened. Scrape the bowl and beat on medium speed for 2 minutes until thick and creamy. 3. Spread on top of biscuit base. Put in fridge to chill for at least 2 hours. 4. Decorate with Coconut and Chocolate Eggs, and serve! Enjoy and Have a Happy and Holy Easter! Prep time is 45 min, serves 1. 1. Cut chicken breasts and green bell pepper into strips. 2. Cut onion and tomato into thin wedges. 3. Place chicken strips, green bell pepper strips, onion wedges, garlic, and oregano in a large bowl. 4. Pour the Italian dressing over the ingredients, and mix well. 5. Marinate, refrigerated, for 1 hour. Drain off oil. 6. Stir-fry in cooking oil until chicken is browned. Stir in the tomato wedges. 7. Wrap the tortillas in dampened paper towels. 8. Microwave on HIGH until softened (45-90 seconds). 9. 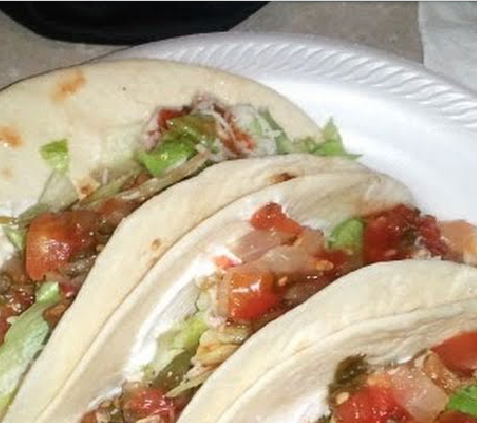 Fill tortillas with the chicken mixture. 10. Serve with salsa, sour cream, shredded cheese, beans or guacamole. 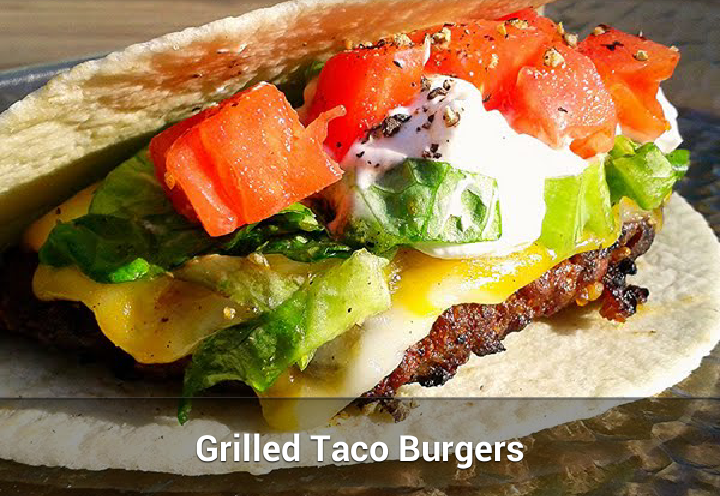 Recipe found with my android app. 3. When mixed, make 4 equal size patties (can be made a day in advance). Put a deep dimple in the center of the burger patties. 4. Set up your grill for Direct Heat. Grill 6 to 8 minutes per side, flip and cook another 5 or 6 minutes. Add a blended of cheese just before removing. 5. Let burgers rest for a few minutes then cut in half. 6. Heat flour tortilla shells briefly, add burger half add lettuce, tomato and sour cream. Prep time is 30 min, serves 4. 1. Preheat broiler with rack positioned 6¨ from heating element. 2. In a medium mixing bowl combine hot sauce, oil, vinegar and garlic powder. 3. 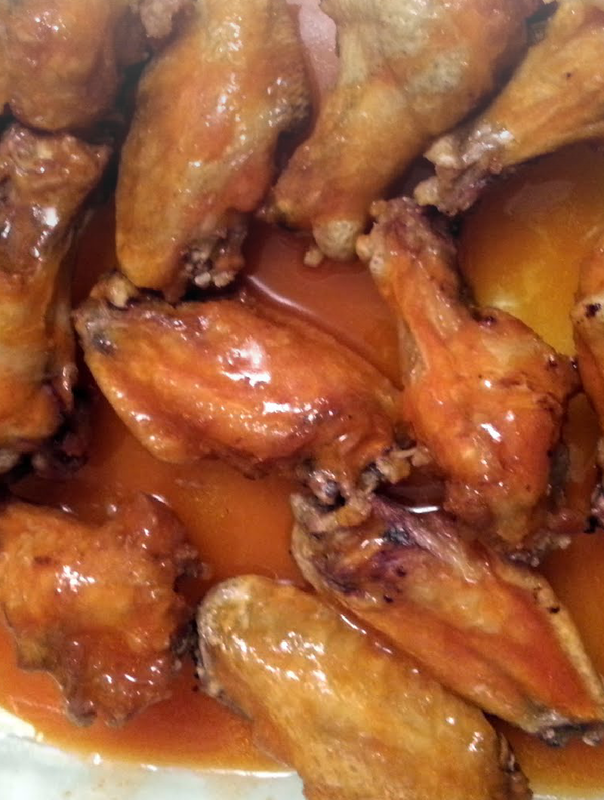 Place chicken wings on a broiling pan. 4. Using a pastry brush, coat the wings with sauce. 5. Broil the wings for a total of 14 minutes, 7 minutes on each side. Recipe found with my android recipes app.